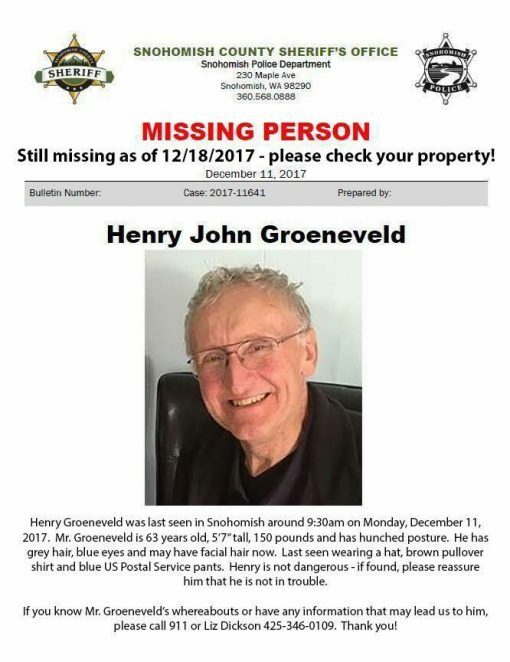 Mr Groeneveld disappeared December 11th without any personal items. He may have been depressed or disoriented. If you think you’ve seen Henry please call his daughter Liz Dickson (425) 346-0109, even if you are not sure it was him. He may have traveled outside the area if he managed to catch a bus without bus fare.